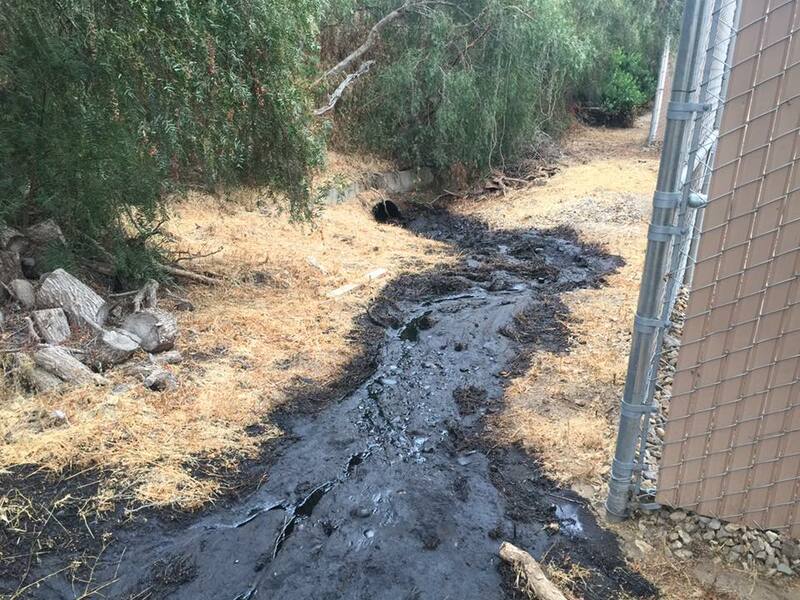 Nearly 30,000 gallons of crude oil spilled from a Ventura pipeline in Hall Canyon early Thursday morning. The oil traveled down a gorge that leads to the beach, but firefighters prevented the crude from spilling into the ocean. 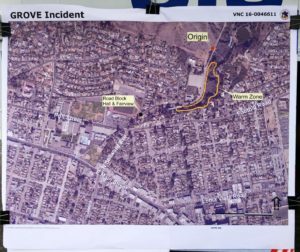 Around 5:30 a.m., authorities were informed of the spill that originated at a pump station in the northwest part of the city, according to the Ventura Fire Department. The crude oil traveled a half mile down the Prince Barranca. Responders stopped the flow in a storm drain in Hall Canyon. Fire officials say a total of up to 700 barrels, or 29,400 gallons, of oil spilled. Investigators have yet to determine the cause of the spill. Residents in the area complained of strong odors. A HazMat team responded and was monitoring the air quality. It is unclear if the oil spill harmed any wildlife. The LA Times reports Thursday’s spill occurred when a pipeline valve opened. The pipeline had been under maintenance, and the valve was replaced Wednesday. Colorado-based Crimson Pipeline LLLC owns the 10-inch underground pipeline that was the source of the leak. The pipeline was installed in 1941 and is up to date on state and federal inspections. However, Thursday’s incident marks Crimson’s 11th pipeline spill or equipment incident since 2006, according to the U.S. Department of Transportation. Over that period, the company has been responsible for hazardous liquid spills totaling about 313,000 gallons, federal records state. Crimson Pipeline is responsible for cleaning up the Ventura spill, and the company has deployed contractors to lay down large, absorbent brooms in the gorge to mop up the oil. 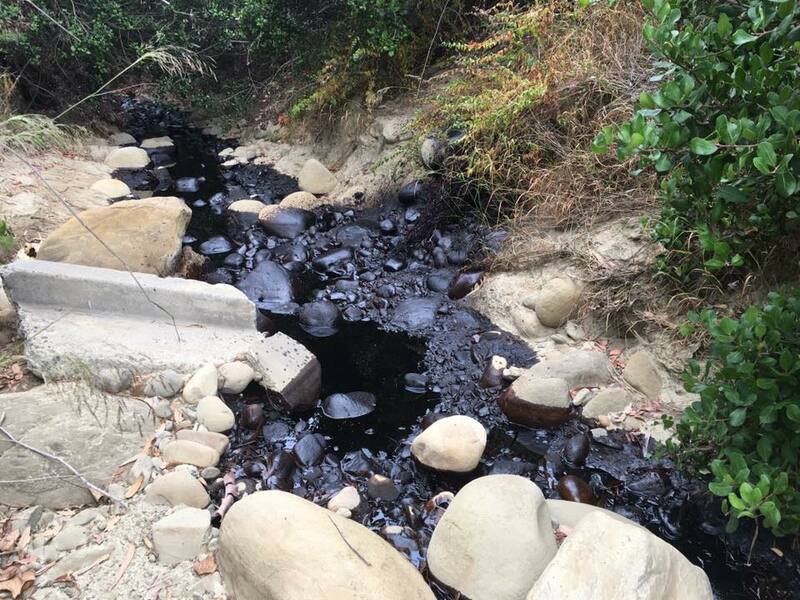 Last year, a pipe owned by Plains All American Pipeline ruptured near Refugio State Beach in Santa Barbara County, causing more than 100,000 gallons of oil to spill. About 21,000 gallons of oil flowed into a culvert and then into a ditch that drains into the ocean. The spill spread over 9 miles of coastline, mostly consisting of sandy beaches. Last month, a California state grand jury indicted Plains All American and one of its employees. The indictment contains 46 counts, 36 of which relate the killing of wildlife. Ten counts relate to the release of crude oil or reporting the release.